HomeGastric BypassWhat is Gastric Bypass Surgery? Are you desperate to lose weight? Does your obesity affect every area of your life? Are you ready to go to any lengths to be thin? If so, then you are most likely in the 63.1% of Americans who, according to WebMD, are overweight. That means 6 out of 10 people that you know are possibly overweight. This is a staggering statistic, and has been on the rise for the past several years. If you are in this category, then it’s likely you’ve come here looking to find out about Gastric Bypass Surgery. Gastric Bypass Surgery is one of several types of surgeries under the classification of Bariatric (weight loss) Surgery. These are the four basic types of Bariatric Surgery. Let’s look at each one with a brief description. Gastric Bypass Surgery – This surgery creates a small stomach pouch which is then connected to the small intestines. In 2005 about 140,000 people had this surgery, and the numbers are on the rise. Gastric Lap-band Surgery– Here a smaller stomach is also set up, but using a silicone band instead of sutures and stitches. In the most popular type of this surgery it is reversible, and doctors say that a temporary reversal is often requested. 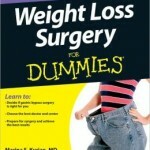 This is also known as one of the safest Bariatric Surgeries. Gastric Sleeve Surgery – In this procedure about 85% of the stomach is permanently removed and sown together. Then it is attached to the small intestines, and the structure looks like a tube or “sleeve”. It is irreversible. Bilopancreatic Diversion Surgery – Here the stomach size is also greatly reduced, then permanently attached to the distal (lowest) part of the small intestines. When looking at the reasons to have Gastric Bypass Surgery, you have to start with the one least intended by most people who have it done. The Health Benefits of such a dramatic weight loss can lead to much improved physical well-being, and although most people get the surgery done for aesthetic reasons, these benefits far outweigh the psychological issues. That’s quite a long list of benefits, and that doesn’t even address specific health issues that each particular person might have. Let’s face it folks, looks make a difference. Some people are able to focus on inward traits more than others, but we all get, and judge, first impressions. If you’re reading this series then you’ve probably felt uncomfortable walking into a room. Maybe you’ve heard whispers and snickers as you walk by. Gastric Bypass Surgery can help alleviate the feelings of insecurity that go with such incidents. All these can be improvements experienced by someone who undergoes Gastric Bypass Surgery. The video below is not a physician endorsement (product endorsements at bottom of article,) but rather a great example of how Gastric Bypass Surgery can change a life. As with any surgical procedure there are risks/drawbacks that accompany such an undertaking. With Laparoscopic (tiny, less invasive incisions) Gastric Bypass Surgery there is a 7% complication rate. With Abdominal Incision Surgery the rate rises to 14.5%. Your doctor should advise you of all the eventualities, and have you sign a release before you ever agree to have the surgery. Be sure to ask questions if you are worried about, or don’t understand something. The following is a list of possible risks. The list does not include the risks natural to all anesthetic surgery. For those who are unwilling or unable to have Gastric Bypass Surgery, there are other options that have shown positive weight loss results. They are listed below in the most generic fashion. There are a multitude of specific products and procedures available. As always, do your homework and consult your physician BEFORE starting any medical regiment. As you can see there is a lot to consider when deciding about whether to have Gastric Bypass Surgery. The Benefits vs. Risk analysis can be intense. For those who chose there are other alternatives, but with a sustained weight loss average of 65% of excess weight, Gastric Bypass Surgery can be a very appealing choice. Which is NOT a method of Bariatric Surgery? Which IS a Health Benefit of Gastric Bypass Surgery? True or False: Gastric Bypass is free of complications. • Am I a Good Candidate? Should I Have Weight Loss Surgery? What Are Some Weight Loss Surgery Options? Gastric Sleeve Surgery Is there a Gastric Bypass Diet? I don’t have diabetes or anything really yet, but I’m still young and I know if I keep gaining weight I’m going to have issues sooner rather than later. Such a drastic decision to make though. Thanks for the information about it all. Carmody, Gastric Bypass Surgery is definitely not to be taken lightly. So many think of it as a quick fix, but truth be told, it can be as grueling and taxing as any diet. I wish you well in your attempt to be healthy and happy. Like the other comment said, diabetes is a big reason some want to have surgery. Both of my friends who had gastric bypass were diabetic before surgery. Cmarten, you have hit upon a truth that rings true for many obese people. Gastric Bypass Surgery may be the only hope for a return to health. 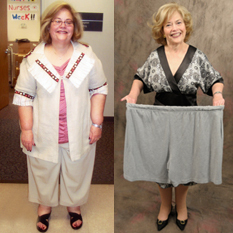 It is well documented how Bariatric Surgery benefits the health of those who have it. Thanks for the stories about your friends. I saw a show on this surgery and was amazed that it reverses Type II Diabetes. It was one of the big factors when my mother made the decision to do it. Many conditions are helped by the loss of weight, and for those who have tried every other way to lose weight, Gastric Bypass surgery is a Godsend. Thanks for the information Jennifer.